Baby, it's cold outside! Finally we have coat weather! If you don't live in the south or climate that hardly gets all four seasons, you probably don't understand my glee. I'm seriously excited that the temperature finally matches the naked trees! I've been loving houndstooth, especially the large scale this season since I laid eyes on the Salvatore Ferragamo Fall 2011 Collection I'd previously blogged about. Finding houndstooth fabric in anything other than quilting cotton has been uneventful for me. So I'll just relish in the fact that my coat was already in my collection! Underneath the coat I wore my pleated faux leather skirt. Worn with a yellow cable knit scoop neck sweater, red belt, Steve Madden wedges and my Elliott Lucca bag. You look so damn cute in that outfit! 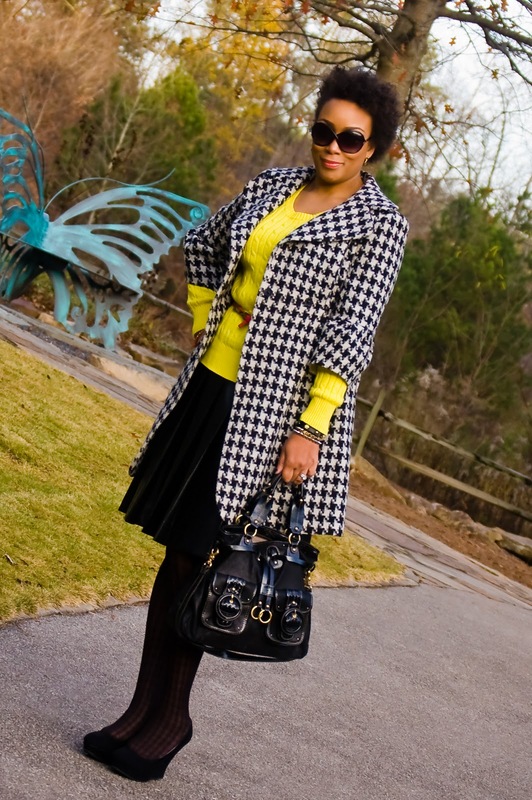 love the yellow and houndstooth. I love houndstooth! The tights are the perfect touch. Thanks Liza Jane! I grabbed them when I saw them! You look fabulous and the outfit is hot! Trea chic! I am also very enamoured with houndstooth. And I love your bag! Great outfit! How fabulous to already have a houndstooth coat in your wardrobe now that it is a hot item. I love the shoes too! 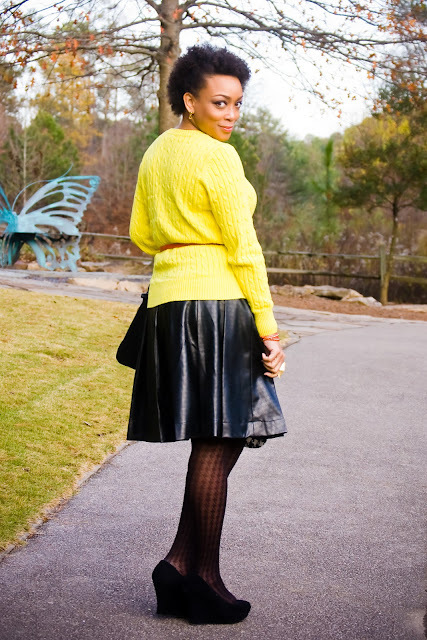 I love bright yellow in winter and teaming it with the houndstooth is perfection. A gorgeous outfit and you look terrific! 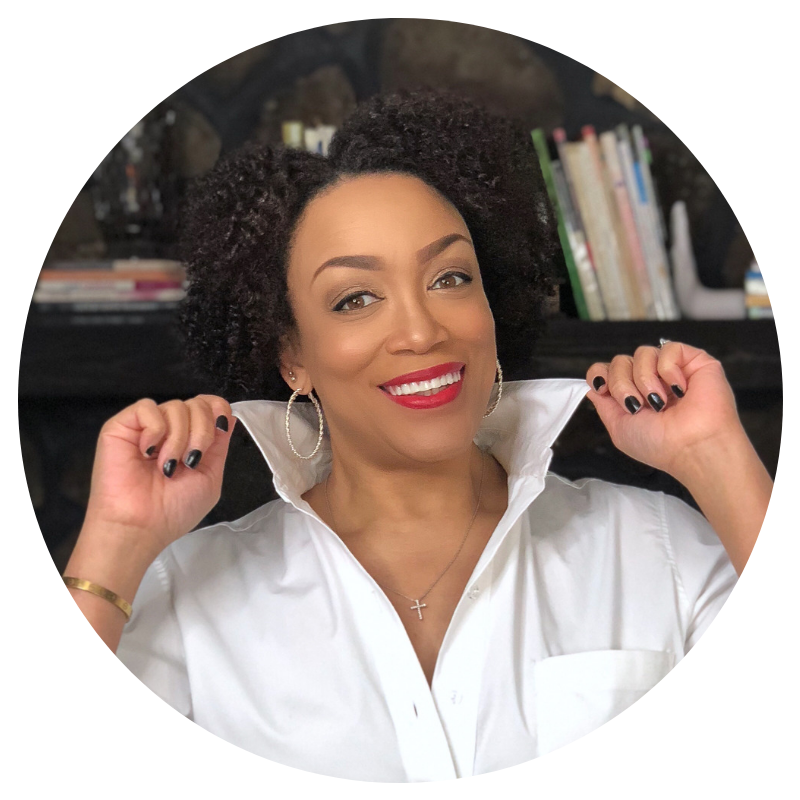 Loving your style shots! 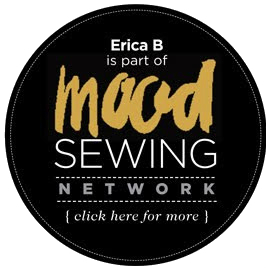 And you always inspire me when my sojo (sewing mojo!!!) wanders off! So thank you. You look amazing, as always. I still love that coat! Thanks! I still love it too! I LOOOOVE the coat! I am seriously in love with it! I had me some nice houndstooth that has disappeared from my collection ;( Yours is still looking FAB! I understand your comment about four seasons!! I grew up in Houston and I say that Houston has two seasons - summer for 9 months and then the rest of the seasons crammed together in 3 months. LOVE the coat!! Linda, it's pretty much the same way here. Love this outfit. The yellow is a lovely pop of colour. Great tights too. Great outfit. The coat is beautiful. Love the shoes & hose. 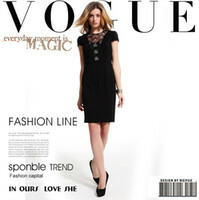 I'm so glad I found your blog, you've inspired me to pull out my sewing machine and try to sew - yet again. Thank you! Thanks Debra and good luck with your sewing! You know I love that coat against the yellow, I'll be trying that! 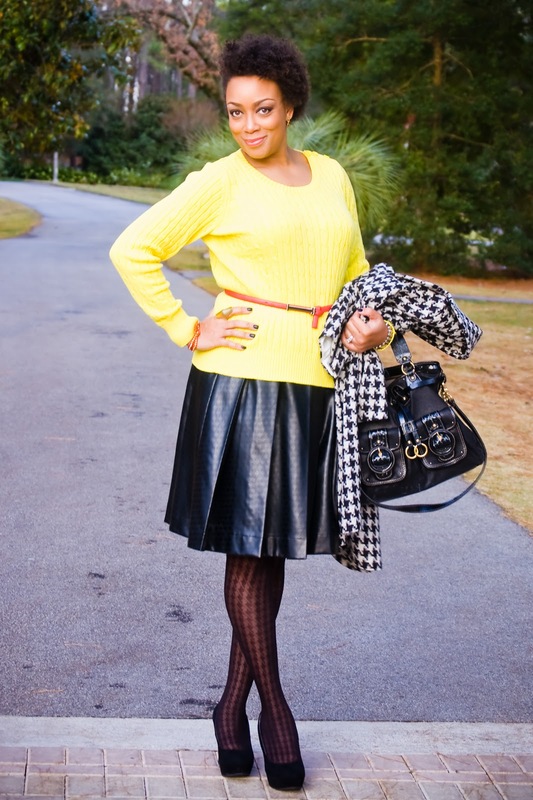 I love the contrast of a bright color with houndstooth! I love your outfit and black white and yellow is one of my favorite color combos. The wedges are really cute and I love your patterned tights. Thanks Tany! I love that coat!